5 US ambassadors, past and present, seated from left, Richard Murphy, Frank Wisner, John Negroponte. Standing from left Tom Hubbard and incumbent Sung Kim. Seven years ago, former US ambassador Tom Hubbard and I proposed the establishment of a non-partisan, not-for-profit organization to support the cause of the Philippines. This week, the society met for their annual meeting co-chaired by former US Ambassador John Negroponte and Manuel V. Pangilinan. A highlight of the meeting was the presence of former Ambassadors Tom Hubbard, Frank Wisner and Richard and their wives. It is not uncommon for Mike Armacost and his wife Bonnie to visit frequently. The same goes for Tom and Joan Hubbard who should be called honorary permanent residents. Indeed, it is a unique tradition of repeat visits for American ambassadors – proof of their fondness, loyalty and support for our country and our people. The annual meetings also provide the opportunity to hear the insights of the outstanding diplomats of the US Foreign Service, past and present, on the state of Philippine-US relations in the current context. On this particular instance, it was Frank Wisner’s turn to share his wit and wisdom on this subject. His speech was a remarkable “tour d’horizon” of the state of the global geopolitics and economy. We are, he said, in “uncharted waters”: a multipolar world where balance of power rather than one “hegemon” keeps the peace; a global economy that is slowing down and characterized by growing inequality that has given rise to populist governments; a profound transformation towards an artificial intelligence and information technology driven economy; and a China that has become America’s strategic competitor. 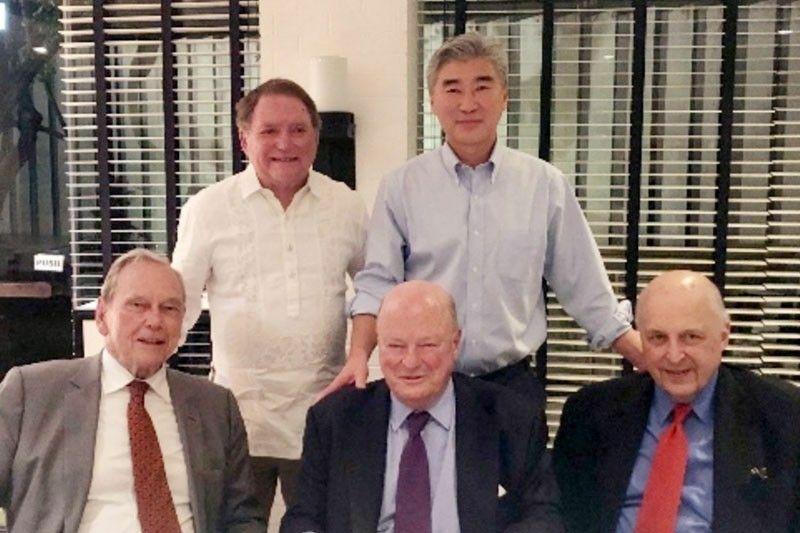 All of these have had an impact on Philippine-US relations which has matured to a point “where there is no room in it for American insistence on ‘the right answer’.” There is instead “a broad understanding of the importance of Philippine sovereignty and preservation”. However, Wisner said there is concern over the extent of China’s reach into the Philippines – over the South China Sea and in infrastructure development, which is not helped at all by the President’s rhetoric. And while Wisner does not advocate that we take an adversarial position towards China but on the contrary, to strengthen ties with her and indeed, all our neighbors, he said we should do so cautiously and without compromising our commitment to democracy and the rule of law. He said we should keep in mind that we have “long standing security, economic, cultural and political ties to the United States and that we should preserve our ability to engage her.” That we have important assets at a time when the United States needs support and if we are bold and thoughtful in asserting what the country has to offer, we will be taken seriously. Wisner also said one way of re-energizing Philippine-US relations is the prospect of a free-trade agreement. I agree wholeheartedly that we should pursue an FTA, though I would suggest an Economic Partnership Agreement (EPA) similar to what we have with Japan will gain more traction. An EPA recognizes the economic disparity between the two parties and therefore includes developmental aspects that go beyond just trade. We should give this the utmost priority. Trade tensions between the US and China are likely to continue in the future as the latter’s economy evolves to become an even more formidable competitor. China is also pursuing the localization of its manufacturing and services sectors as evidenced by increasing restrictions on foreign investors. These developments have led to many of these locators to look for alternatives elsewhere in the region. 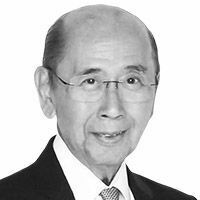 Besides Vietnam, the Philippines offers the most feasible alternative to the companies primarily because of our skilled labor force. An EPA with the US would certainly give us a leg up over other countries in the region.